Gilbert Vernam was an AT&T Bell Labs engineer who, in 1917, invented an additive polyalphabetic stream cipher and later co-invented an automated one-time pad cipher. Vernam proposed a teleprinter cipher in which a previously prepared key, kept on paper tape, is combined character by character with the plaintext message to produce the ciphertext. This are the fundamentals of how one-time pad works. One-time pad is a way of encrypting messages which is done by XOR-ing each plaintext byte of message you want to encrypt with a key byte from a key stream which is long as the message itself. If the key is truly random, is at least as long as the plaintext, is never reused in whole or in part, and is kept completely secret, then the resulting ciphertext will be impossible to decrypt or break. This makes the one-time pad information-theoretically secure which means that we can learn no information about the original message (apart from it's length) given the encrypted message. Everything seems perfect right? But why do we need all this modern ciphers then? Why do we need AES when there is a "perfect" cipher, fresh from 1917? Where's the catch? 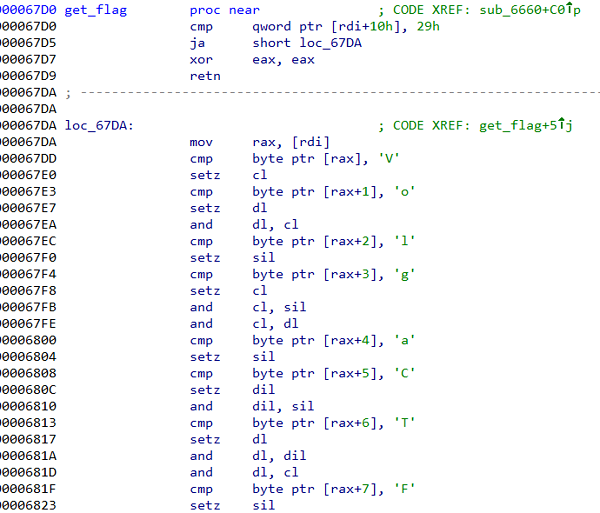 One-time pad problems: In theory, this cipher is really secure, but in practice, there are few major drawbacks. First, the key needs to be truly random. You might think: "So what, there is a rand() C function that gives us random numbers, we can use that to generate our key stream!". In fact, the rand() C function is a pseudorandom generator which only gives seemingly random numbers, it will loop after some number of outputs and its output can be predicted which makes the function unreliable for security purposes. There are more implementations of random functions (pseudorandom generators) that are used in security but I will not go into that now, only thing to remember is that true randomness is very hard to achieve. One site that states that can generate true random numbers is RANDOM.ORG, its randomness comes from atmospheric noise. Another problem is that the key needs to be as long as the message itself, this makes it hard to use for very long messages because it takes long to generate the keys. 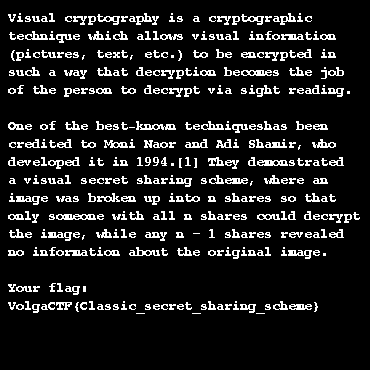 I will show you an example of what can go wrong when you get lazy and use the same key to encrypt many messages. Tonight it turned out that task bot token was compromised. As a result, bot was taken over by an unknown individual. We have decided to shut down the bot but we will not close the task. Some teams managed to solve the task before this had happened and got their points. To equalise other teams, we have given you the flag (in hints) so that you can submit it and get points too. This decision is final. We sincerely apologise for this situation.